Live in roomy comfort near Largo Town Center Metro in a one, two, or three bedroom apartment at Northampton Apartment Homes. One bedroom layouts measure 734 and 774 square feet. Two bedroom apartment homes for rent are sized at 978, 1,009, and 1,166 square feet. Three bedroom options measure 1,196 and 1,256 square feet. All of our generous layouts pass the Morgan Properties 101-point checklist, ensuring that you new home is clean, reliable, and ready for your personal touch. See the full list of features on our Amenities page. Expect more. 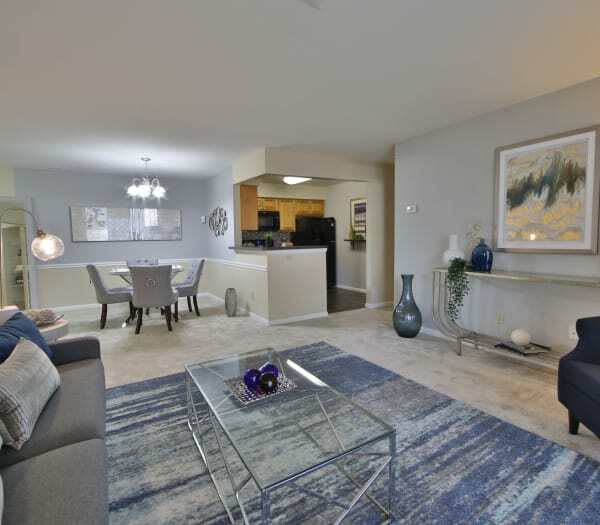 Schedule a personal tour today to discover all the perks of apartment life at Northampton Apartment Homes in Largo, MD.